To clean the kale, rinse, then run your fingers up the stem to release the leaves. You can watch a 35 second video about it on my YouTube Channel, Vegetarianized.com. 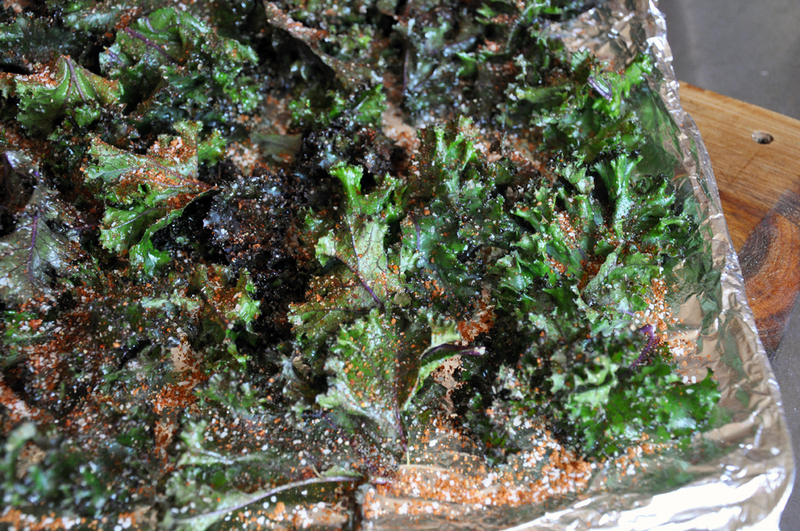 Dry the kale thoroughly. 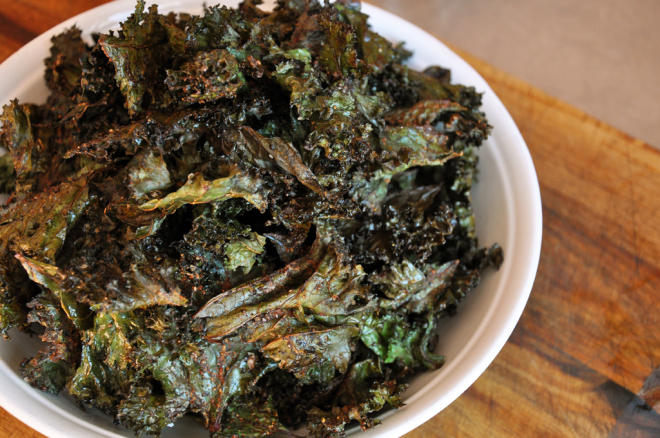 Toss kale with EVOO and place on a foil-lined baking sheet in a single layer. Mix all the spices together and then sprinkle it evenly over the kale. Watch a quick video about applying the BBQ rub here. Bake 10-15 minutes until the kale is dried, but be careful to not let it burn. Remove from the oven, let cool, and then enjoy!